We interviewed Amanda Zenteno, the Executive Director of the Bay Ridge 5th Avenue BID. The BID provides many services, such as sanitation, security, events, networking, and marketing. We dig into some of the problems merchants face, opportunities they can take advantage of, and dispel a few persistent myths about the local economy. Bay Ridge is teeming with commercial possibilities, and is home to three major shopping avenues in close proximity. Today we’ll learn what it takes to help them flourish. We sat down with Amanda Zenteno, the Executive Director of the Bay Ridge 5th Avenue BID, or Business Improvement District. We’ll cover what a BID does and how it’s organized, and what services it provides to the businesses it serves. We also talk about keeping commercial corridors clean and dispelling misconceptions about vacant storefronts. Support your local businesses and have a listen! 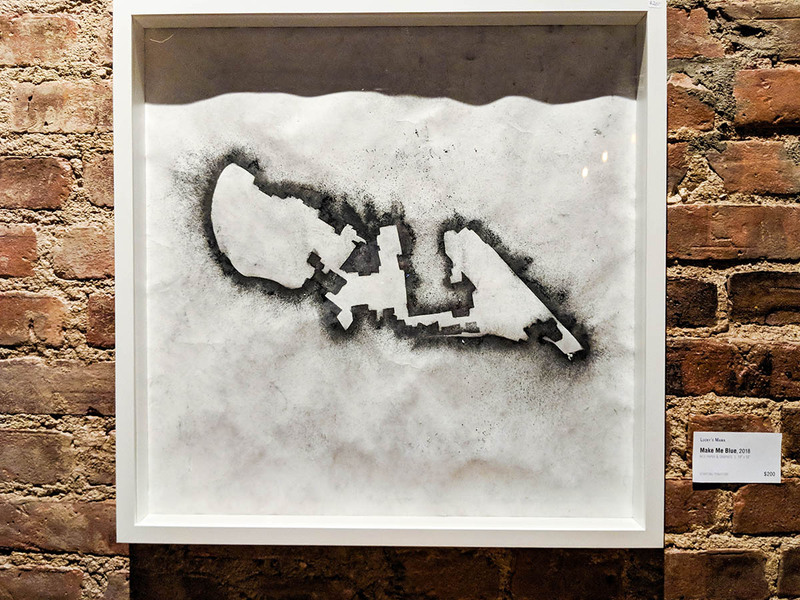 One artistic interpretation of State Senate District 22 (Bay Ridge is on the left) as seen at the Art of the Gerrymander art show. Fight Back Bay Ridge’s first fundraiser brought together the local art and activist communities. We interviewed guests and attendees to ask about the intersection of art and politics. On October 22nd, local activist group Fight Back Bay Ridge held their first fundraiser. Unlike many other groups, which focus on three-hundred-dollar-a-plate dinners or a cheesy speech, they did something both creative and community-building. They sent out a call to the Bay Ridge arts community, including Stand 4 Gallery and many more. They challenged local artists to create artwork they’d be willing to donate for a silent auction. The theme was to raise awareness and creatively interpret the gerrymandered boundaries of Bay Ridge’s state senate district, SD22. The resulting gallery show brought together the activist and artistic communities of Bay Ridge for one of the first times. Our co-host Rachel Brody interviewed people at the event, discussing how they felt about art, politics, and their community. 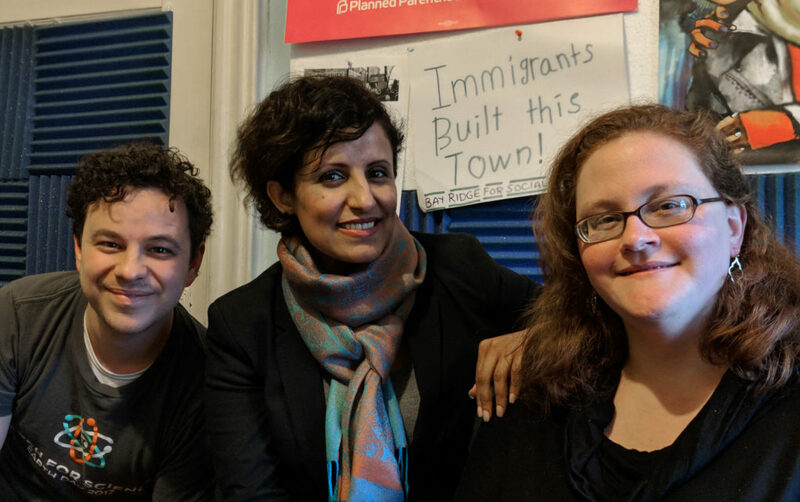 With primary petitioning underway (again) and all of our local campaigns in full swing, we’re taking one more dive into local and state elections in an interview with Mathylde Frontus, running for New York’s 46th State Assembly District. The district covers the southern portion of Bay Ridge, Dyker Heights, Bath Beach, and all of Coney Island west of Brighton Beach. Mathylde is a nonprofit director, scholar, and organizer who grew up in Coney Island. She has focused her life and studies on Social Services, mental health, community organizing and education. 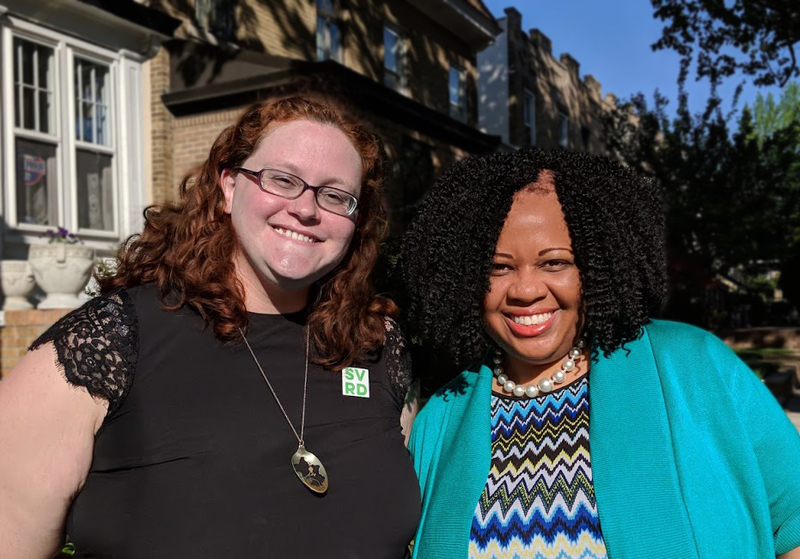 Mary and Dan sat down to interview Mathylde and talk about what it’s like to run a storefront community services organization in the district, as well as her history organizing and guiding local grassroots non-violence projects in the district. The most recent of these has been the Coney Island Anti-Violence Collaborative, which recently joined local groups for rallies in front of the infamous Knights of Columbus NRA Meeting this past April, as well as a large March For Our Lives rally on the Coney Island Boardwalk in March. We also went over what is driving Mathylde’s candidacy: a desire to systematically reform government. This includes improving community feedback (by creating new mechanisms such as a community think-tank), encouraging residents to become more aware of their government (by creating new civic workshops to help people run for office), and by pushing for more transparency in the Albany budget process to uncover corruption and improve accountability. We also discuss specific issues, such as education and mental health services. Finally, we take some time to go over the local news. It’s been a busy week in Bay Ridge, with the arrest by ICE of pizza deliveryman Pablo Villavicencio Calderon at the Fort Hamilton Army Base resulting in local arrests and protests. In addition, there’s been a short-notice Community Board Transportation Committee meeting on Bike Lanes that deals with the DOT 92nd street proposed lanes. Finally, there is the chaotic overlap of the NY-11 (Staten Island and South Brooklyn) federal congressional primary election on June 26th with the petiti0ning throughout June for candidates running in local elections (Including Ross Barkan, Andrew Gournardes, and Mathylde Frontus.) Get your walking shoes ready and volunteer! June is here! And that means petitioning is starting for our local and state primary elections. Petitioning is conducted by candidates to get enough signatures to earn a spot on the primary ballot this September, and if they win, they’ll be their parties nominee to continue on to the November general election. 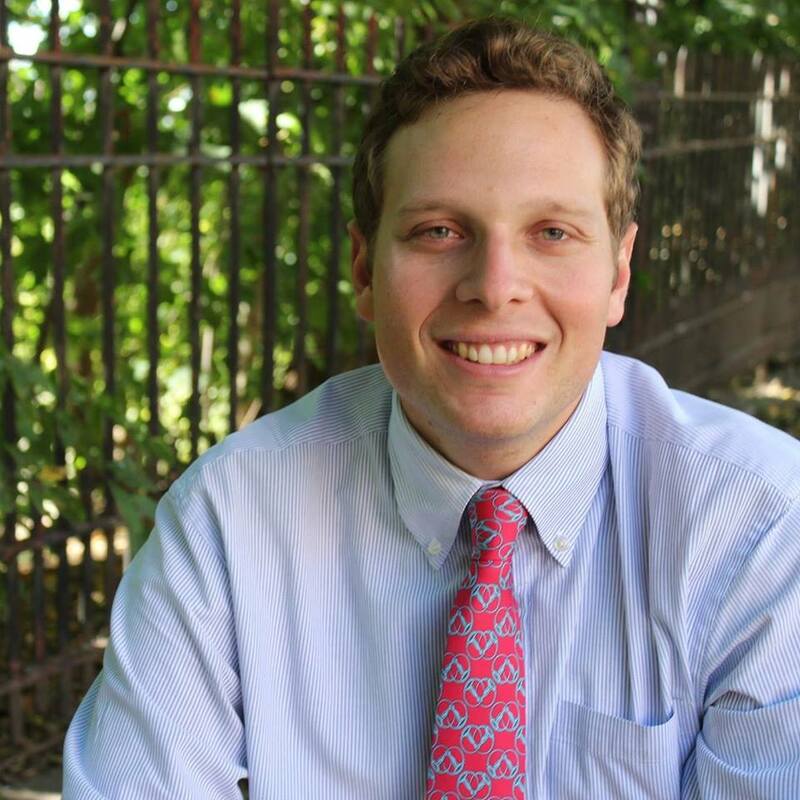 Today, we’re sitting down for an interview with Andrew Gounardes, one of the Democratic nominees for Brooklyn’s 22nd State Senate district, which represents Bay Ridge in Albany. Rachel and Dan sat down earlier this year with Andrew to talk about his campaign and the issues that matter to him. If he wins the primary, he’ll be squaring off against Republican incumbent Martin J Golden, the lone Brooklyn Republican in the State Senate who has gerrymandered the district in his favor. We’ll talk with Andrew about his life in public service, as well as Mr. Golden’s inability to solve perennial problems in the neighborhood. We also discuss reforming New York State’s archaic voting laws, how to get engaged in civic life, improving neighborhood transportation options and street safety. We also chat about property taxes and housing reform, including giving the city control over rent laws and making it easier to own a home. Andrew also discusses his proposal for a major South Brooklyn waterfront park, connecting and expanding the green spaces along the Narrows and Gravesend Bay! June is almost upon us, and that means a new petitioning season for candidates running in state and local elections! 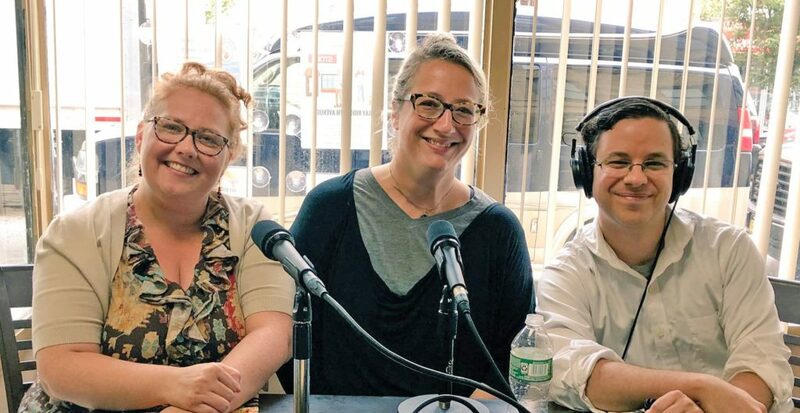 To give our loyal listeners an idea of who’s running in our area, we’re continuing in the spirit of our NY-11 Congressional Contenders series and bringing you a couple of long-format interviews with progressive Democratic candidates running for office. 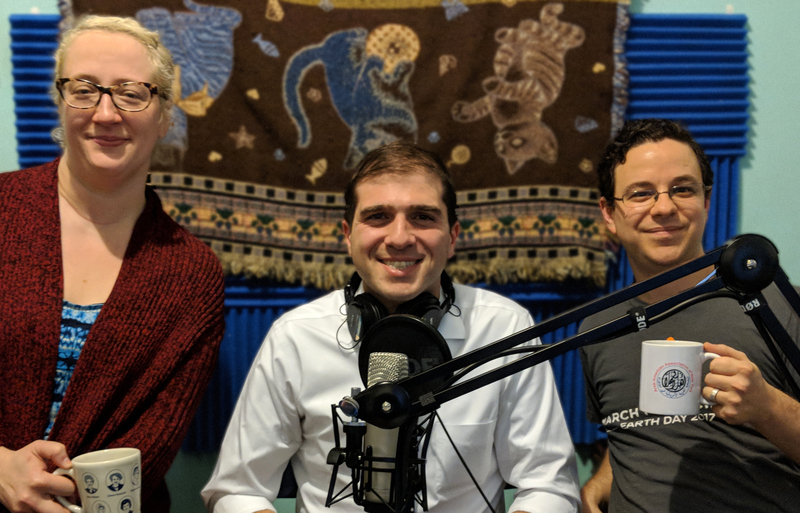 Today, Rachel and Dan are sitting down and talking with Ross Barkan, who’s running for the 22nd New York State Senate District, currently occupied by Republican incumbent Martin J Golden. Ross is a former journalist and was briefly a teacher at Fort Hamilton High School. He’s been a longtime political reporter, with an in-depth knowledge of Albany politics and brings a unique, insightful perspective on how to fix a corrupt and often unresponsive political system. We’ll go over exactly what a State Senator does and how Albany dysfunction affects Bay Ridge, Brooklyn. We’ll also get into the weeds on specific transportation, education and climate-change policy proposals for the neighborhood, like an exciting new commuter rail line running through the heart of the district, reducing student debt burdens, and tidal protections for the next superstorm. Last year, Bay Ridge experienced an unprecedented and vibrant Democratic Primary for City Council. One of the candidates was Rev. Khader El-Yateem, who ran on a message of representation for an often overlooked population of Arab-Americans in the district. There was a great deal of news coverage of the race, and most of the stories centered on Rev. El-Yateem as a candidate. Today, however, we shift the focus and bring you the story of a storyteller. Ahmed Mansour, through a series of chance encounters and circumstances, wound up journeying from his home on the Gaza Strip to Bay Ridge, Brooklyn. With a video camera in hand, he found the El-Yateem campaign in its infancy, and documented everything along the way, amassing hundreds of hours of footage. As he followed “Team El-Yateem”, he ended up exploring a much more important character: the neighborhood of Bay Ridge itself and the Arab-American community that calls it home. Today Radio Free Bay Ridge is happy to bring you our interview with Ahmed exploring the story behind his upcoming documentary “Brooklyn, Inshallah”. We also discuss what’s next for Ahmed as an artist, and how he perceives Bay Ridge from the point of view of being a simultaneous outsider and insider. You can check out Ahmed’s fundraiser for his documentary on LaunchGood if you’d like to contribute to expanding it to feature length, or contact him if you’d like to assist in the project! On March 31st, across the country, students orchestrated town hall meetings with their elected officials, asking them to join them for a dialogue about gun violence in American schools. The #TownHallForOurLives is a movement spearheaded by the students of Majorie Stoneman Douglas school in Parkland, Florida – but like a true grassroots movement, it involved students from around the country taking ownership and agency, and Staten Island and New York’s 11th Congressional District was no exception. 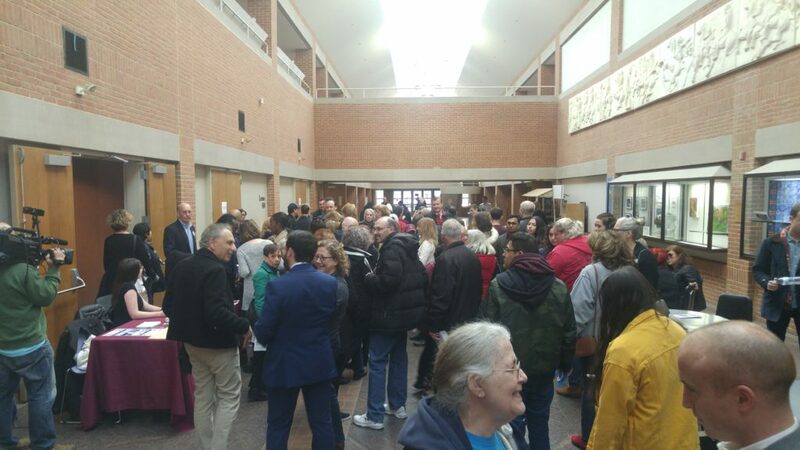 The #NY11TownHall that took place that night was an opportunity for the community to come together and was attended by local elected officials such as Councilwoman Debi Rose and State Senator Diane Savino. After learning that no local GOP would be in attendance (still hiding in that phone booth, Dan Donovan? ), the students invited all the NY11 Congressional Contenders still left in our race, instead. Radio Free Bay Ridge attended and live-tweeted the two-and-a-half-hour event. We’ll be uploading the full audio this weekend. Today, in anticipation of more March for Our Lives Events centered on our neighborhood (including one this Saturday organized by local teens in Bay Ridge) we spoke to one of the organizers of the Staten Island Town Hall, John Papanier. We talked about how the local students are leading the way on this incredibly important issue. Bay Ridge is a neighborhood of immigrants. Even when Bay Ridge was not much more than farmland on the Narrows, we have been a landing spot for numerous waves cultures and ethnicities. Bay Ridge doesn’t exist in a bubble, so today we are breaking our hyper-local-only format to discuss the international affairs that affect our neighbors. Today, were going to learn about the longstanding Yemeni community in Bay Ridge. With our guest Rabyaah Althaibani, we’ll get some background on what is happening to Yemenis across the world and how it affects their loved ones here in our community. Update: After you listen to the episode, find a way to get involved. On March 20th, the Sanders-Lee-Murphy bill, which would have ended US Military intervention in Yemen, was tabled. Many senators called for it to return to the Senate Foreign Relations Committee after intense lobbying from Saudi Arabia and the Trump White House. We urge you to call or email the members of the Senate Foreign Relations Comittee, and urge them to both inform their fellow Senators about the issue and bring the Sanders-Lee Bill (S.J.Res. 54) bill back up for a vote. 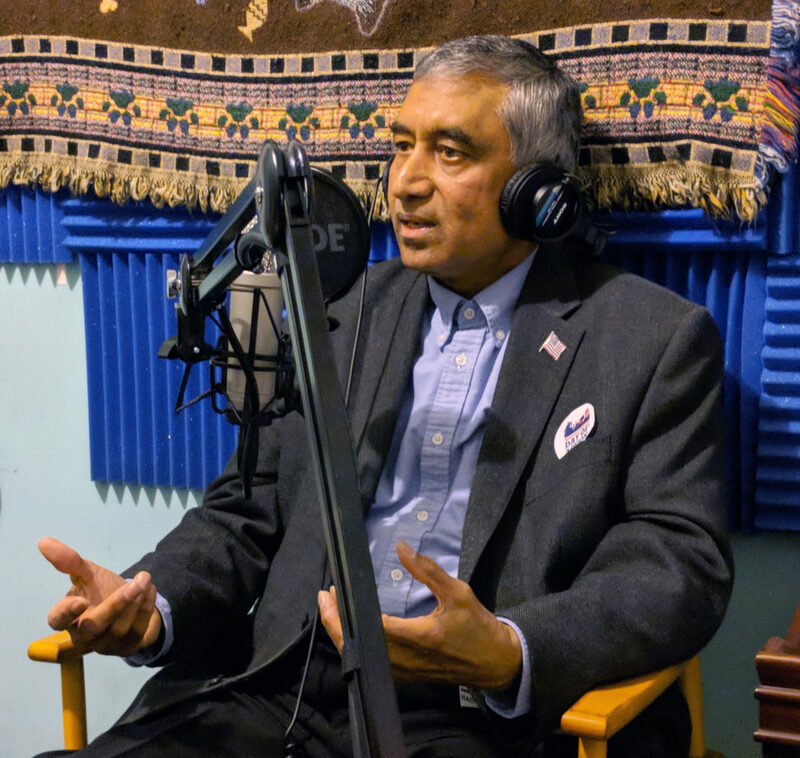 On our final Congressional Contenders episode, we are happy to present Radhakrishna Mohan, a civic leader and Executive Board member of the New York State Public Employees Federation. Mohan is running in the Democratic primary for New York’s 11th Congressional District, which represents Staten Island and South Brooklyn in the House of Representatives. Mohan discussed his lifelong Union background, both in India and Staten Island, and his experience organizing on a state-wide level. 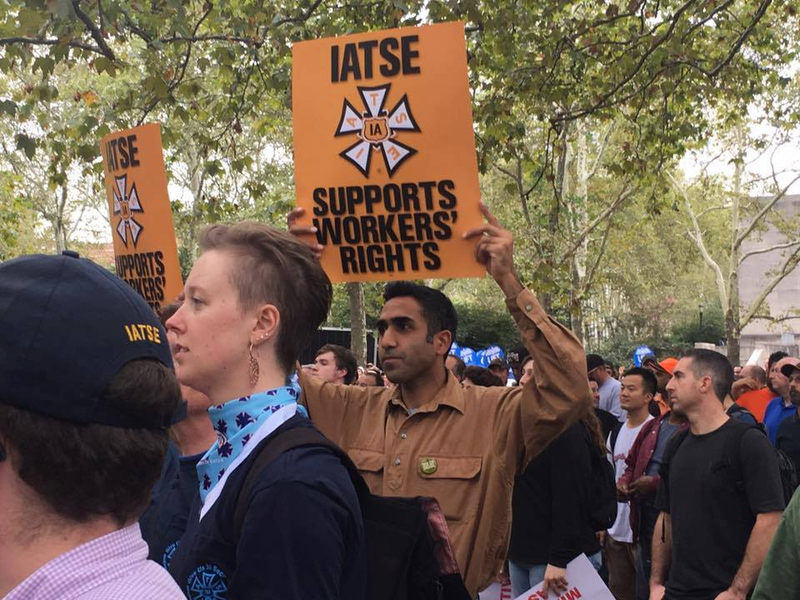 We talked about the role Unions play in being a watchdog for dangerous federal policies, and how a Unionist congressman can bring together Unions to fight for more organizing power. We also discussed how investing in high-tech jobs and infrastructure can help balance our ballooning public debt and federal trade imbalances, how to combat the Opioid crisis on Staten Island, and how we can position Staten Island and Brooklyn to reinvent itself with new cultural institutions and tourism. Finally, as always, we want to remind all our listeners and readers that petitioning season is nearly upon us, beginning March 6th. Registered Democrats will have one chance to sign a candidates petition to put them on the primary ballot for this year’s elections. You can only sign for one candidate, and if you sign for more than one, only your first choice counts. Be sure to get familiar with each candidate and get an idea of who you’ll be most willing to sign for as canvassers begin hitting the streets on March 6th… and consider volunteering to be a canvasser yourself by reaching out to the campaign that interests you the most. Mohan talking with us in the Radio Free Bay Ridge studio.